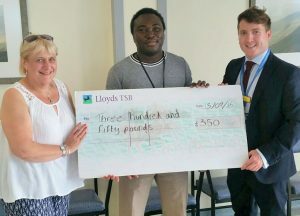 – all due to your generosity and support, with a special thanks to the Rotary Club. This year’s charity will be Cancer Services. Author DavidHPosted on 6th April 2019 6th April 2019 Categories UncategorisedLeave a comment on Record Year!! 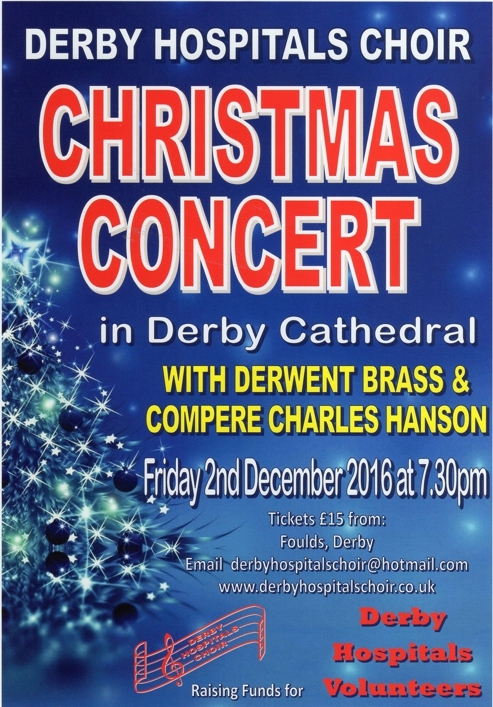 Enjoy the marvellous sounds of the Derby Hospitals Choir in these excerpts from their most recent concert! Derby Hospitals’ Choir in a Flashmob! 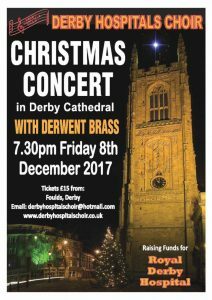 Derby Hospitals Choir got together with the professional musicians that work with the hospital to carry out a Christmas “Flashmob” in the Royal Derby Hospital foyer just before Christmas. The Audio Visual department just happened to have camera there to capture it all … click on this link. 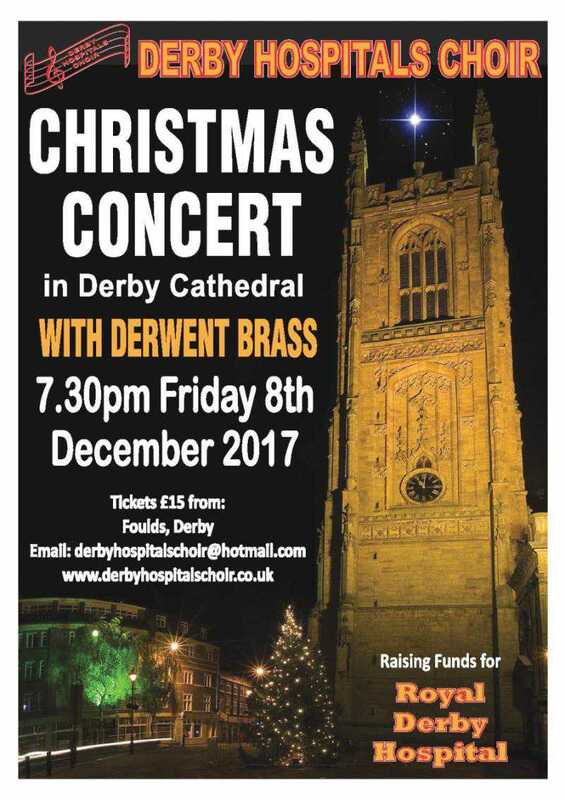 Author DavidHPosted on 25th February 2018 27th March 2018 Categories UncategorizedLeave a comment on Derby Hospitals’ Choir in a Flashmob! – and don’t they look great! 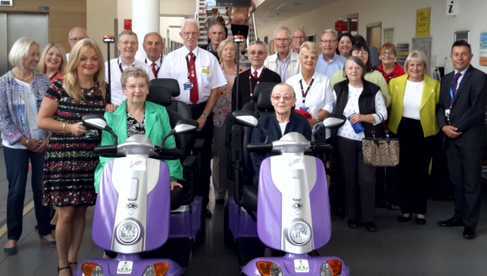 They will be operated by the Derby Hospital Volunteers. Author DavidHPosted on 25th August 2017 31st March 2018 Categories UncategorizedLeave a comment on Tandem Buggies Arrive!! 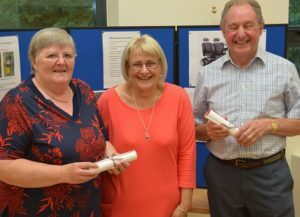 At the Strawberry Tea, awards were given to two members for Long Service to Derby Hospitals Choir. Here are Sue Worrall and Allan Hough holding their certificates (and looking at a very amusing photographer?). 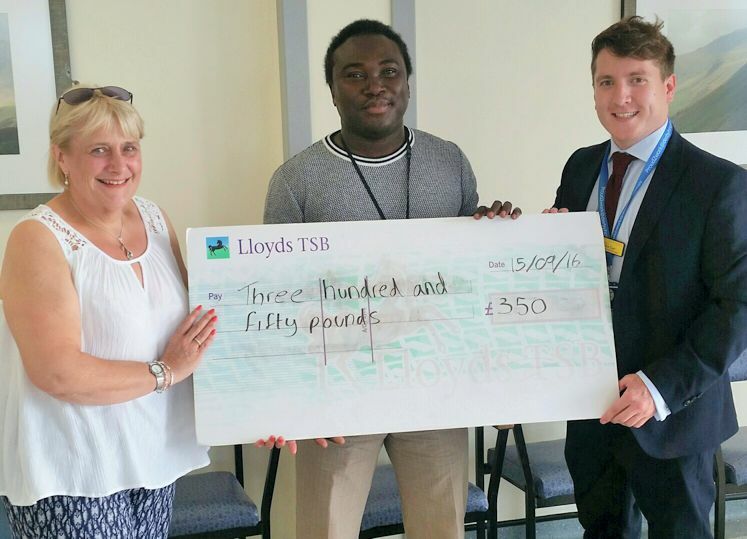 Henry Danson decided to raise money for hospital related charities by shaving his head! Here he (before shaving) with a fantastic £350 raised. 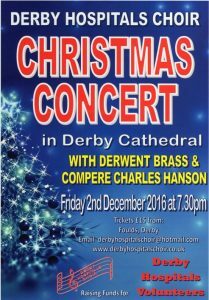 Derby Hospitals Choir was honoured to be one of the three selected charities. The picture shows Henry (centre) and our Chairman Louise on his right as one of the recipients. Author DavidHPosted on 7th October 2016 27th March 2018 Categories UncategorizedLeave a comment on A Close Shave! This year we are raising money for a Hospital tandem Buggy! 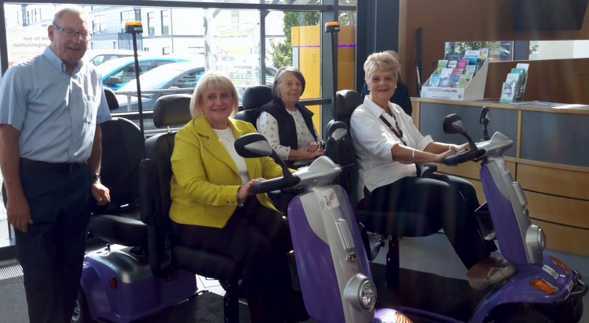 You may have seen the electric buggies that ferry the less mobile around the hospital operated by the Friends of Derby Hospital, but these are restricted in where they can go because of their size. 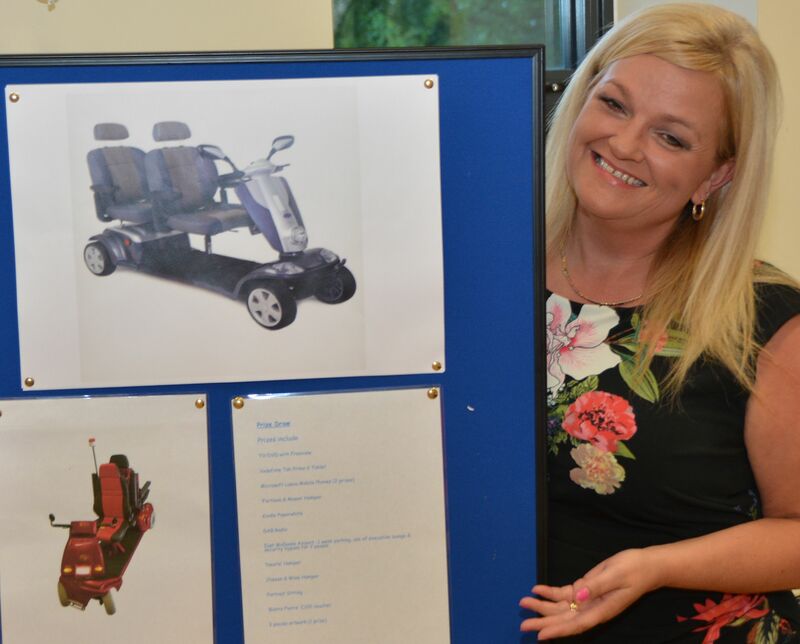 it is now possible to buy a two seat narrow electric vehicle that can ferry one person (plus driver) to many more locations in the hospital, for outpatients or less mobile visitors. Jackie Marriott is shown giving us a talk about the “Tandem Buggies”. 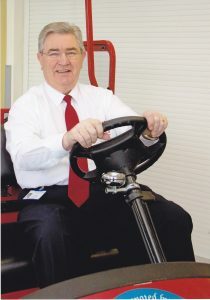 Here is a photo of the much loved, late Charles Green, as one of the Volunteers that drive the current buggies.